Getting bitten by a dog is a scary experience for anyone, but it can be a devastating and traumatic experience for a child, especially a young child. Where do you find answers to your questions? To help you make sense of it all, here are some frequently asked questions about children and dog bites. To find out more about how this applies to your child’s situation, contact the knowledgeable dog bite attorneys at Nash & Franciskato for a free, no-obligation review of your case. What exactly is a dog bite? A dog bite is when a dog’s mouth closes around a part of the child’s body. 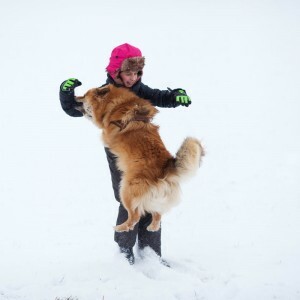 The bite may be more of a warning to scare the child and not actually break the skin; however, dog bites can result in puncture wounds, infections, scars or crush-type injuries affecting nerves or muscles. Scarring and nerve damage are some of the most serious injuries, leaving permanent reminders of the dog attack. The risk for dog bites is highest for children ages five to nine. The Center for Disease Control and Prevention (CDC) reports that nearly 4.5 million Americans are bitten by dogs annually. Additionally, about 885,000 dog bite victims require medical attention every year and half of these are children. Children, especially smaller children, do not always understand boundaries and personal space. In addition, they often misinterpret a dog’s body language and may not know a dog is anxious, shy or just plain hurting. Dogs bite to protect their territory or because they are provoked. Over half of dog bite injuries occur at home with dogs that are familiar to us. Children, especially small children, do not always understand that pulling a tail or ears may hurt a dog and his immediate reaction may be to bite what is hurting him. What type of dog breeds usually bite or attack a child? Pit Bulls and Rottweilers, the most lethal dog breeds, are the cause of more fatalities than any other breed. It is important to note that ANY dog, even small dogs such as Chihuahuas, can bite or attack unsupervised young children. Animal abuse, neglect, keeping a dog tied to a chain for extended periods of time and lack of socialization all contribute to a dog’s aggressiveness and vicious behavior regardless of its breed. Who is legally responsible when a dog bites my child? When a minor child is bitten by a dog, the child’s parents or guardians can bring a claim on his or her behalf. Just as in the case of an adult, the claim or lawsuit would be against the owner of the dog. If your child has suffered a dog bite or dog attack, you should obtain legal representation immediately. Contact the dog bite attorneys at Nash & Franciskato for a free, no-obligation review of your child’s case. What if my child was bitten by a friend or neighbor's dog? According to the CDC, over half of dog bite injuries occur with dogs that are familiar to us – pets owned by family members and friends. This may make relations with the dog’s owners strained and awkward when it is someone you know; however, you still need the money to cover your child’s medical treatments. Dog bite claims are normally filed against the dog owner’s renters or homeowner’s insurance company, not the individual homeowner, which can help keep a friendly relationship. However, just because the dog’s owner is someone you know doesn’t mean you don’t need an attorney. We still recommend you obtain a good dog bite lawyer, such as Nash & Franciskato, to make sure you obtain the compensation your child deserves and take the burden off your shoulders. Can a claim be brought if my child was petting the dog before it attacked? Yes, as long as your child was not provoking the dog. Provocation might be if your child was hitting the dog, pushing a stick at him or yelling at him. Sometimes a child pulling on a dog’s tail may be enough to provoke the dog into biting. The best advice is to speak with a dog bite attorney, such as Nash & Franciskato. We can help determine if the dog bite incident was due to your child’s provocation. What information should be collected in a dog bite incident? We recommend that you write down any details about the incident and that you take photographs of the injury as soon as possible and continue to take photos as the injury heals. What happens to a dog after a dog biting incident? Typically, animal control will evaluate the situation and determine if any actions need to be taken. What are the signs my child needs professional help to deal with the emotional trauma?